Our Amber Housley Inspired 2014 conference was one unlike any other we have ever hosted. It was amazing. It was packed with more content and creativity than ever before. And from the feedback received, everyone loved it! The dynamic of this workshop was different than that of previous years, in that everything was all-inclusive. Everyone stayed at Evins Mill, a fantastic, serene lodge located an hour outside of Nashville in Smithville, TN. All 48 women in attendance enjoyed meals together, socialized together, and shared rooms with one another. We're excited to give you a glimpse at the fun details that went into this year's event. If you are interested in hearing when we release our 2015 dates, be sure and sign up for our Inspired Insiders email list here. As a fun bonus, we'll be giving you a link to our webinar on how to get the most out of your creative conference investment! 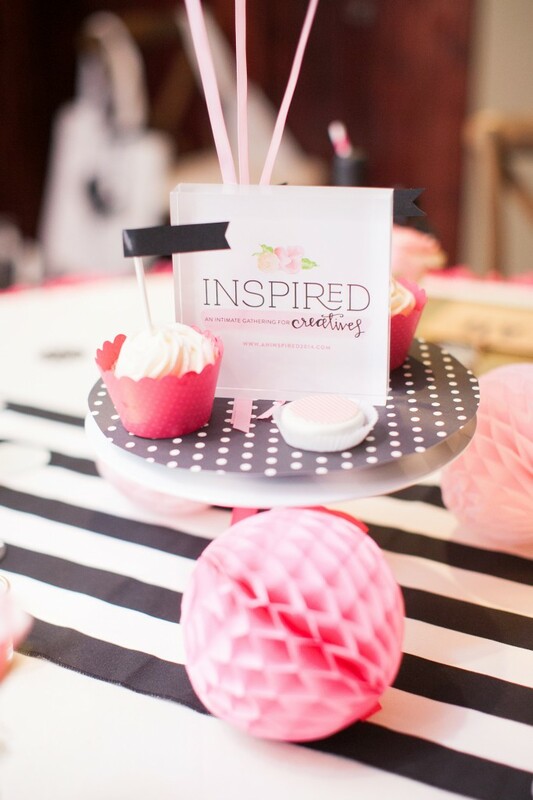 A big thank you to Callie of Nancy Ray Photography for capturing all of these images from Inspired! We designed these darling invitations to send to each attendee and speaker before their arrival, with watercolor illustrations and map by Jessica of Simply Jessica Marie. Our speaker Valerie McKeehan of Lily & Val, custom lettered our adorable welcome sign! The Amber Housley team welcomed attendees to Evins Mill with big smiles, rocking chair conversations, and the most adorable welcome bag full of the best goodies from our sponsors. These cute bags were supplied by our friends at Sew Emg! All of the speakers gathered together for a champagne toast to kickstart Inspired, and then we headed to the main lodge to meet up with the attendees and welcome them to our first cocktail party of the week! The cocktail party was styled by our dear friend Kim of The TomKat Studio! 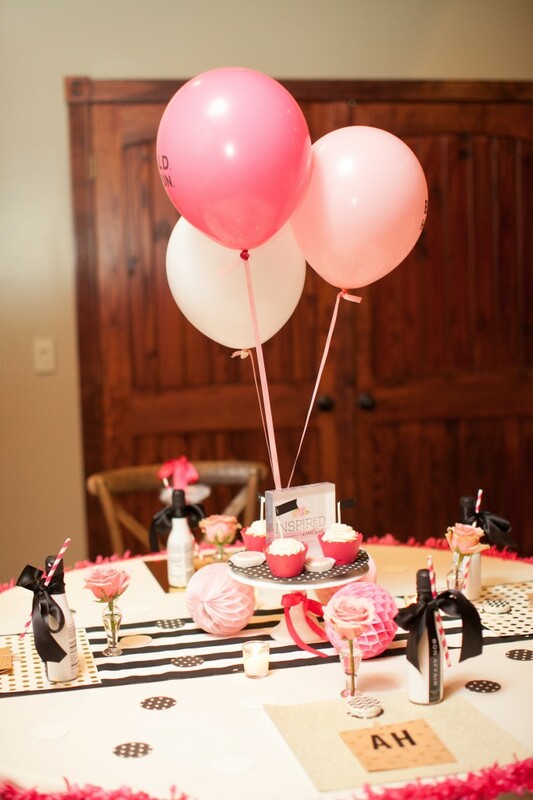 Everyone absolutely adored the deliciously darling dessert bar she styled, with macarons, cupcakes, and cookies. We also loved seeing the innovative ways she used Shutterfly products to add cute touches to the party, with the printed canvases and acrylic blocks! The fun continued after our cocktail party, as we asked the attendees to change into their pajamas and join us back at the main lodge for a surprise! That surprise was this amazing crafting party that Kim hosted that featured some of our fab sponsors: Cricut, American Crafts and Bon Affair! The attendees were broken up into teams, and each team was given the challenge of creatively styling a tablescape with the crafts provided to them, all under 60 minutes! The winning table would each win a Cricut machine!! 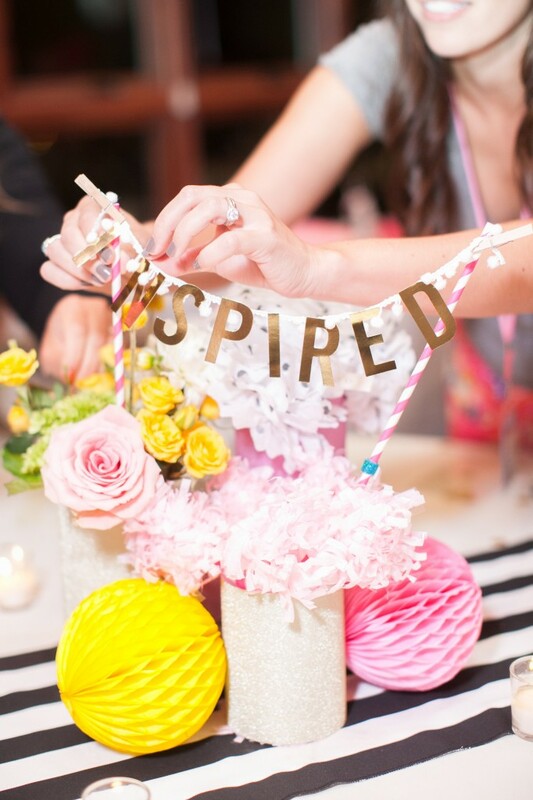 Everyone had a blast designing their tables, and the results were all so beautiful! It made choosing a winning table extremely hard. 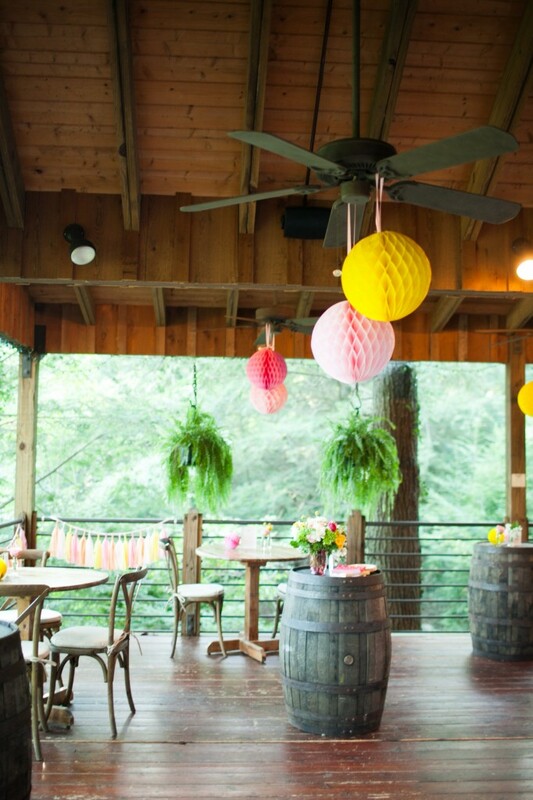 However, we all fell in love with the table shown above. The team said that it would be a table at a party that Jessica would throw for my birthday and to celebrate a successful Inspired workshop! They really wanted to marry the TomKat Studio and Amber Housley brand aesthetics, and did so by incorporating the bold black and white details with softer pinks and oranges. We were smitten! After all the fun and games were over, everyone headed back to their cabins and lodges and got some beauty sleep to prepare for the next two days. We will be sharing recaps of those days throughout the week, so make sure to check back! Don't forget, if you are interested in hearing when we release our 2015 dates, be sure and sign up for our Inspired Insiders email list here.